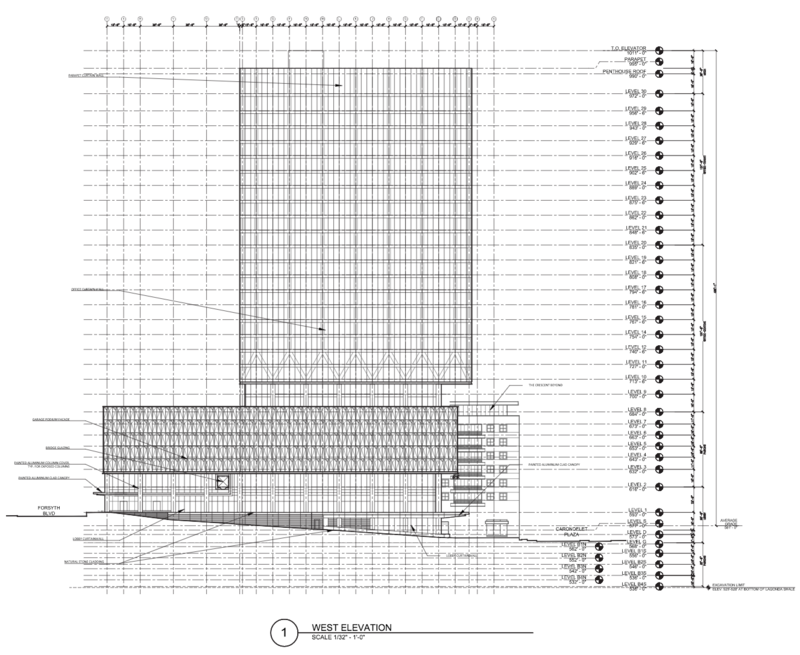 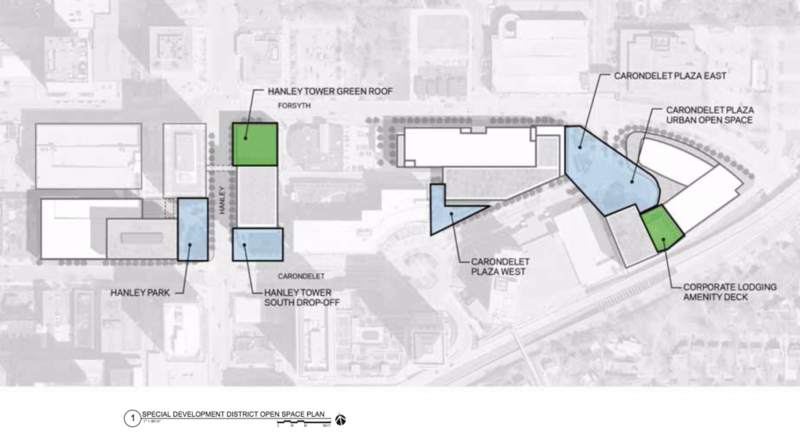 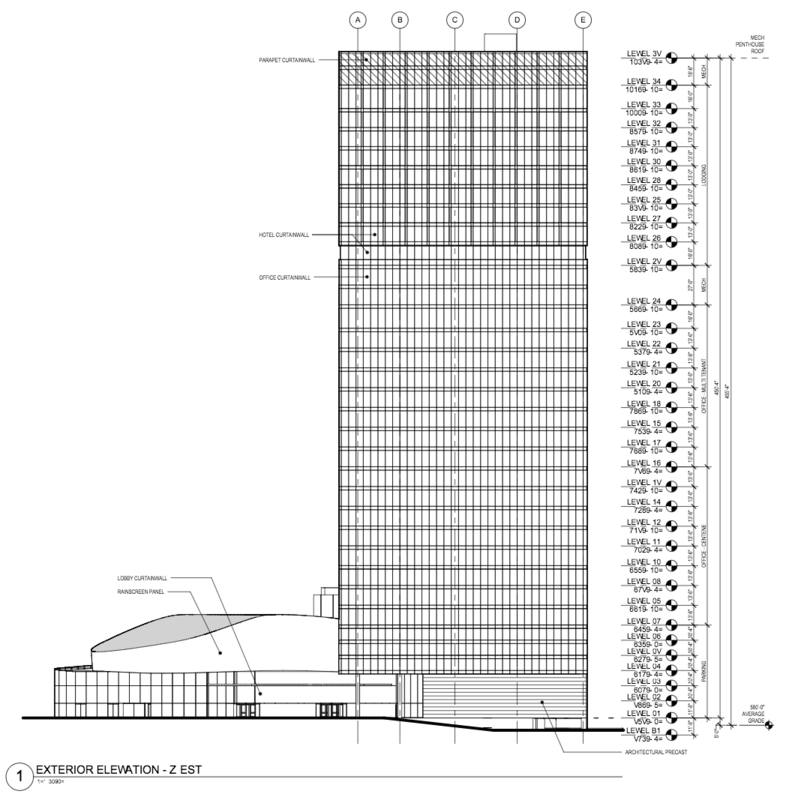 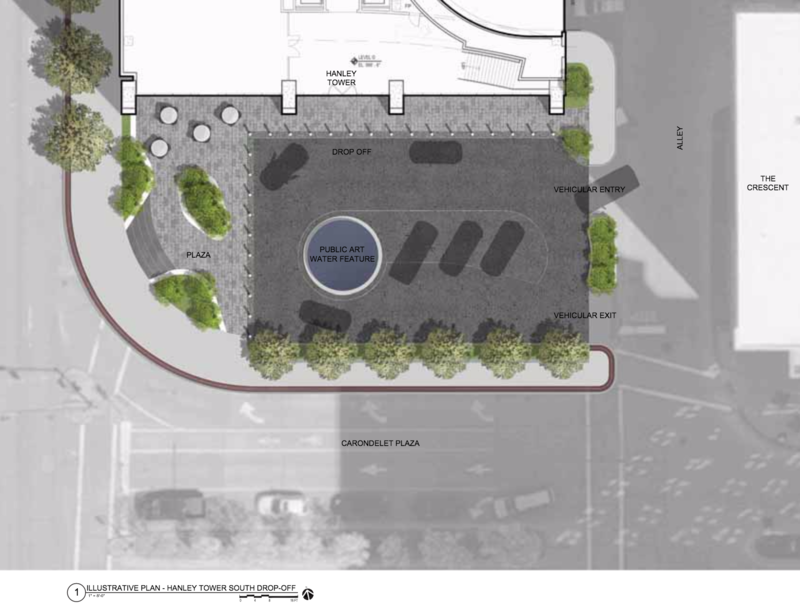 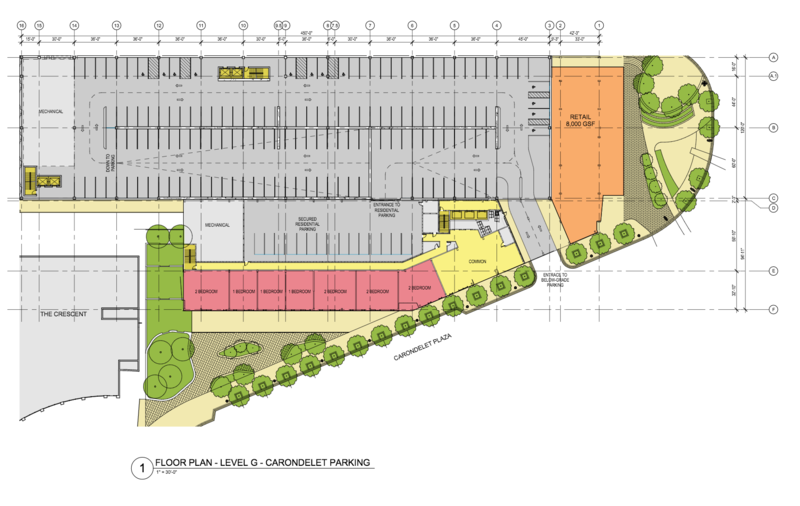 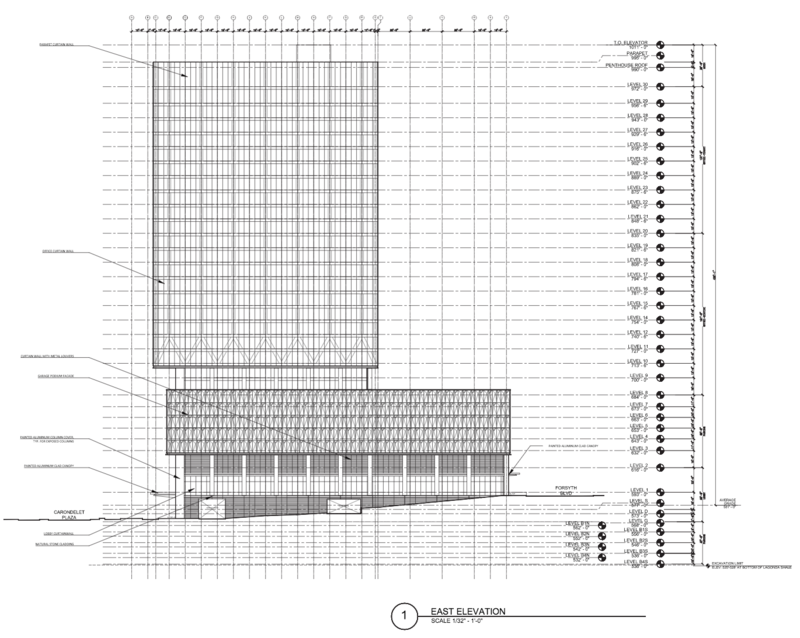 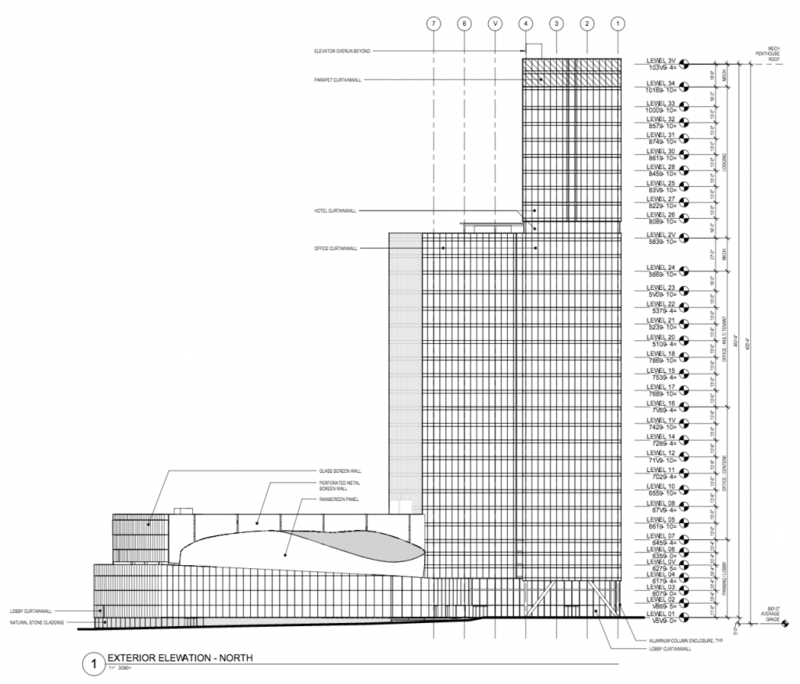 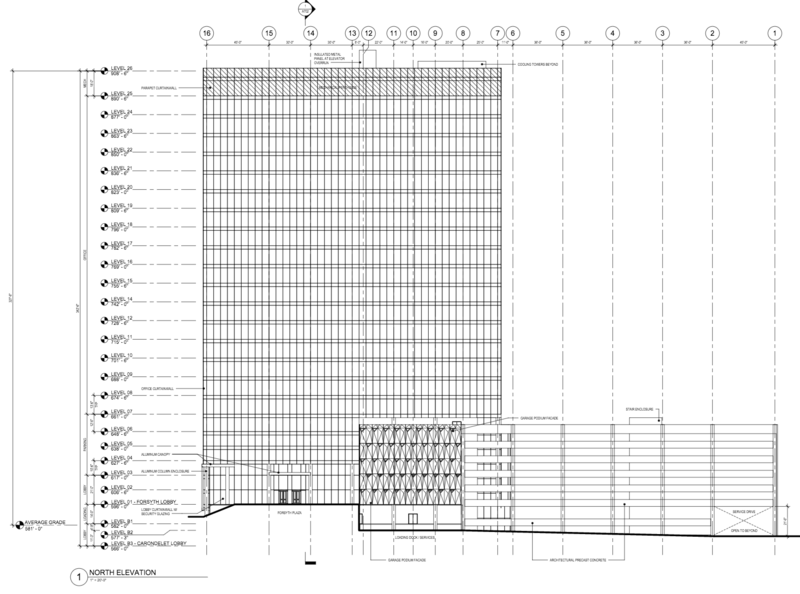 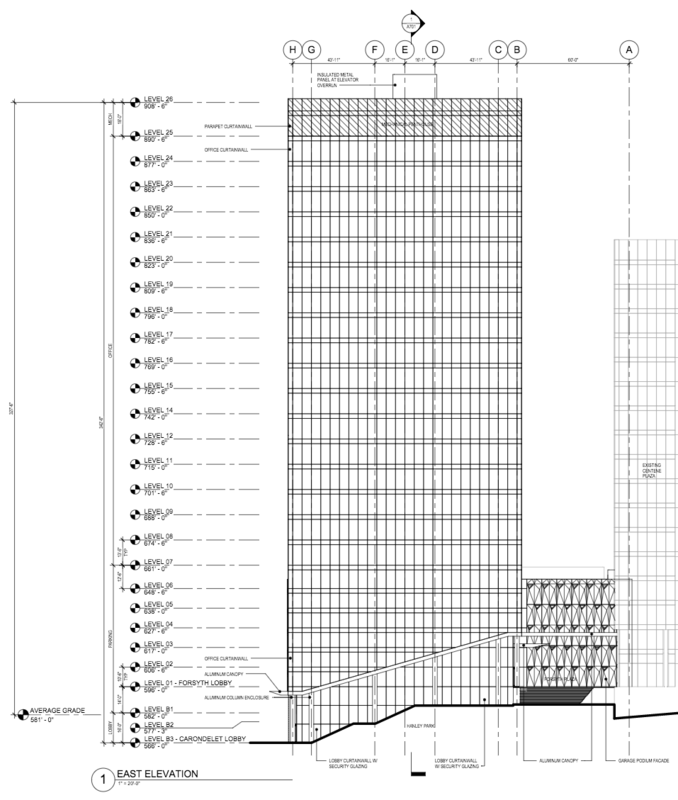 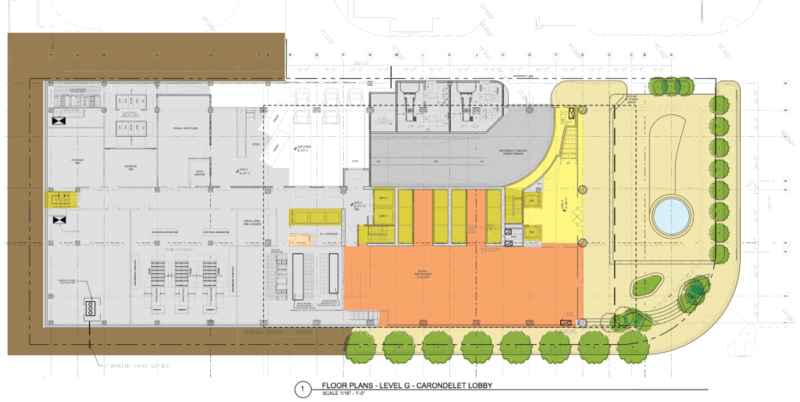 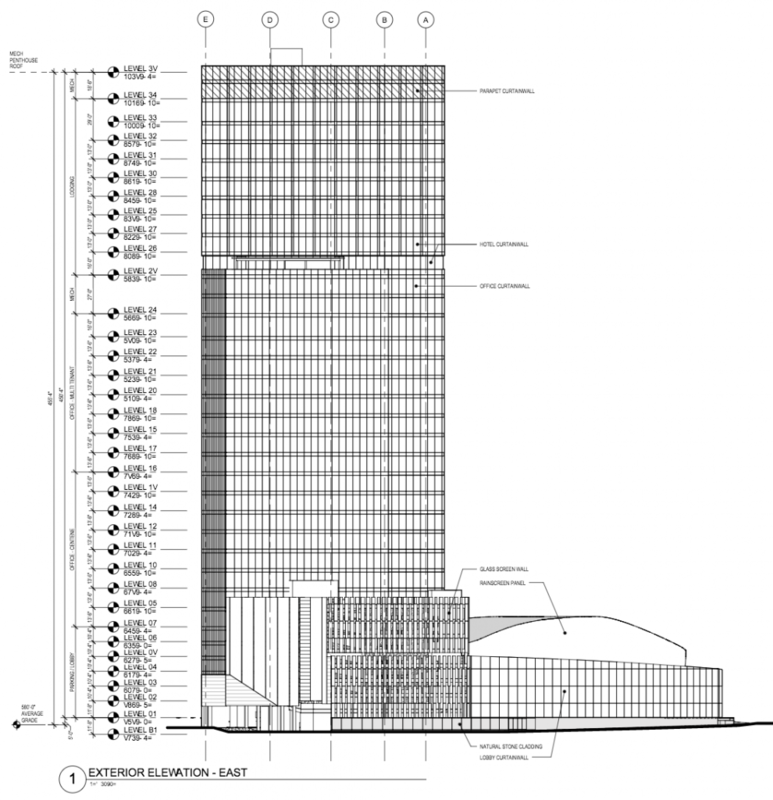 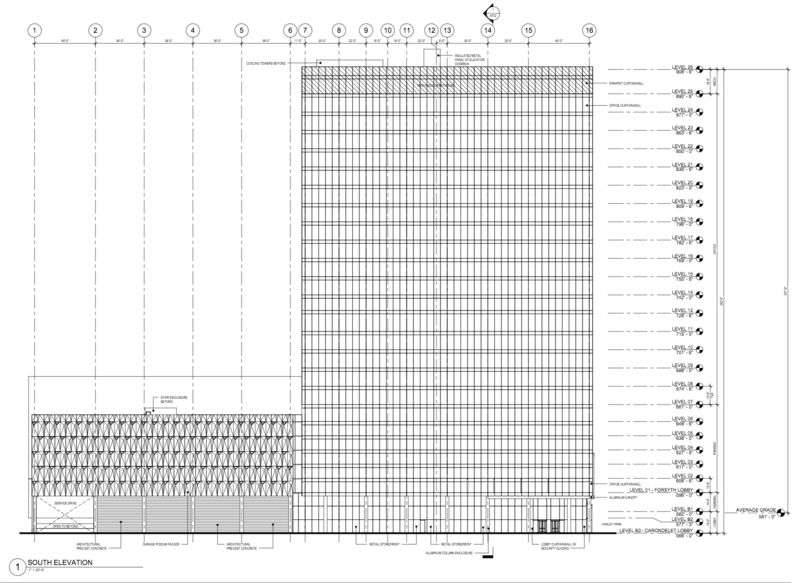 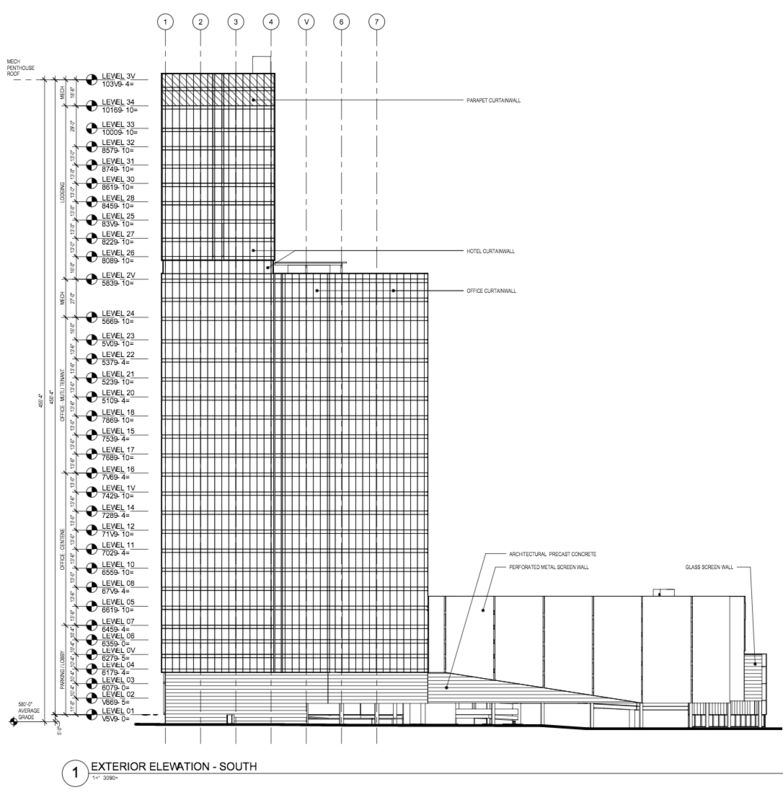 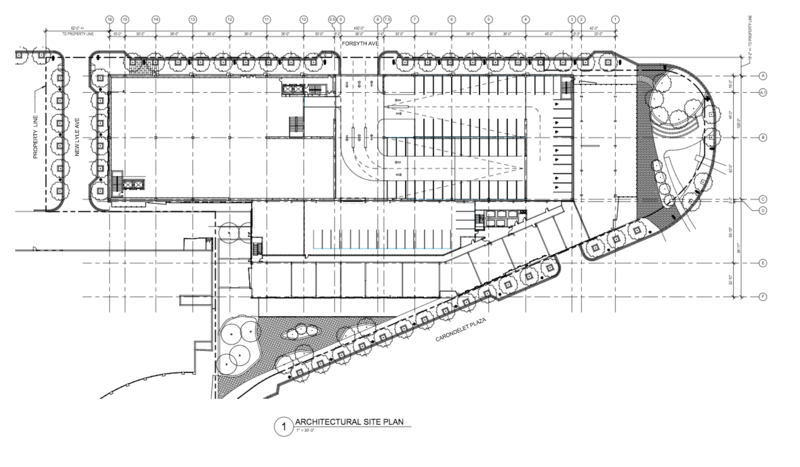 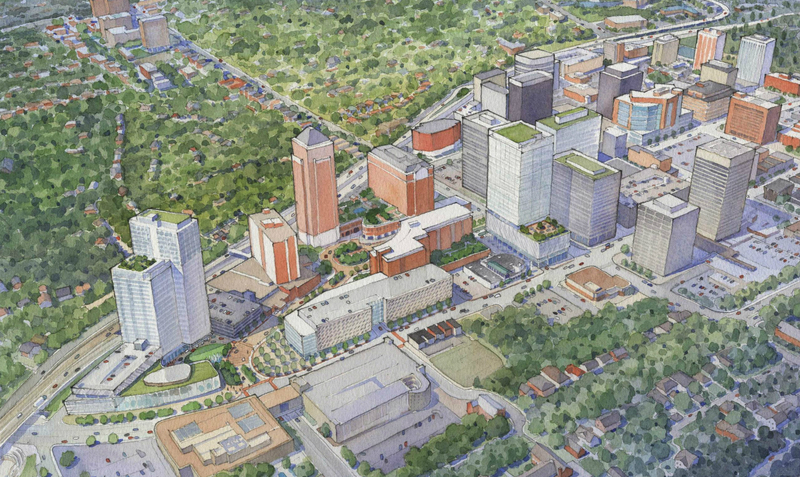 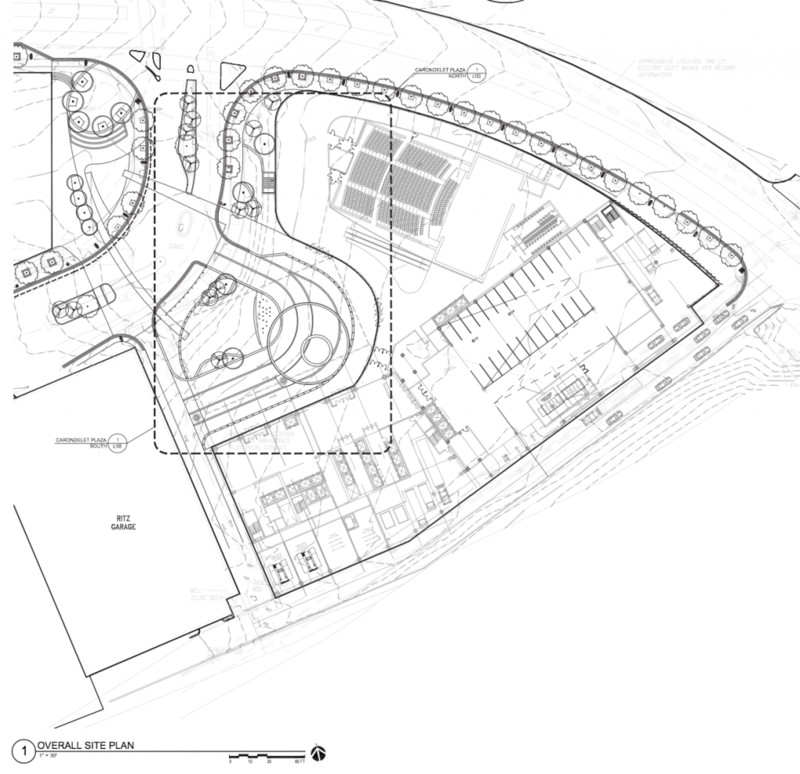 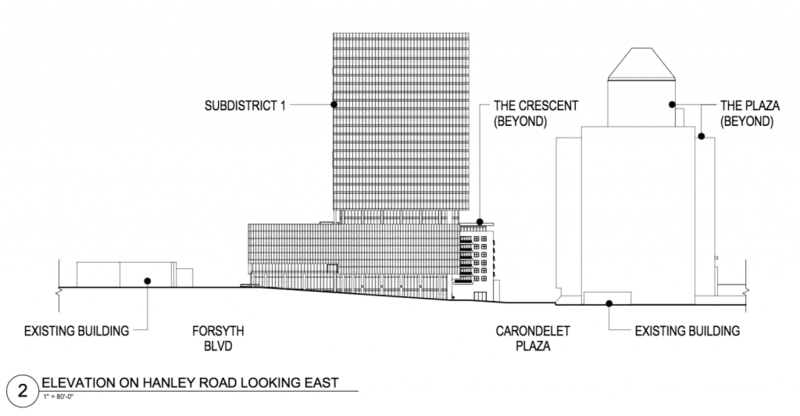 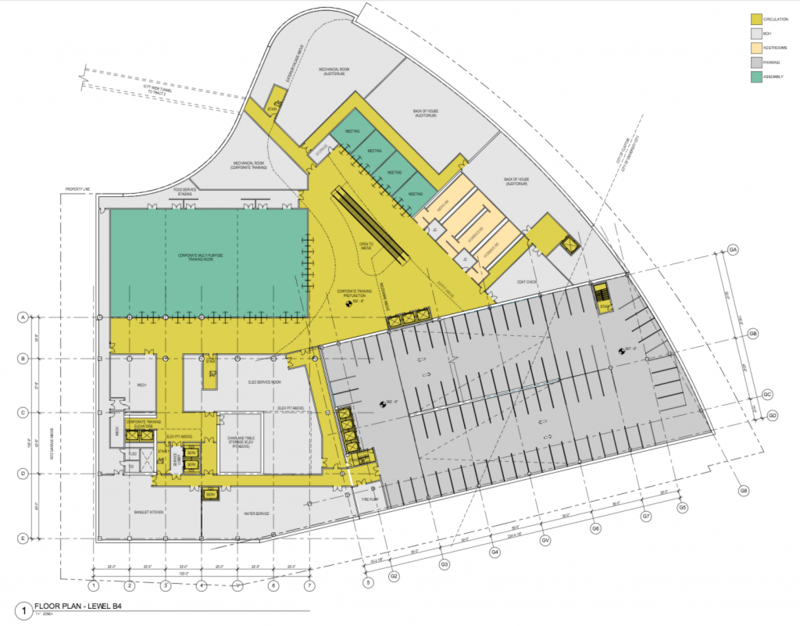 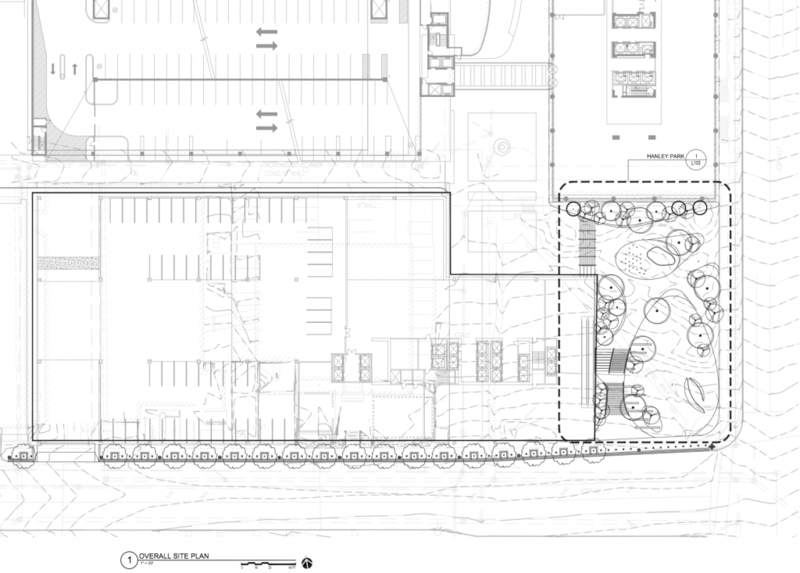 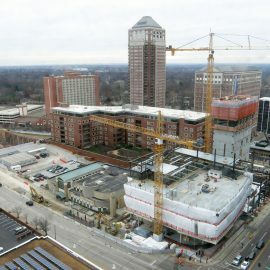 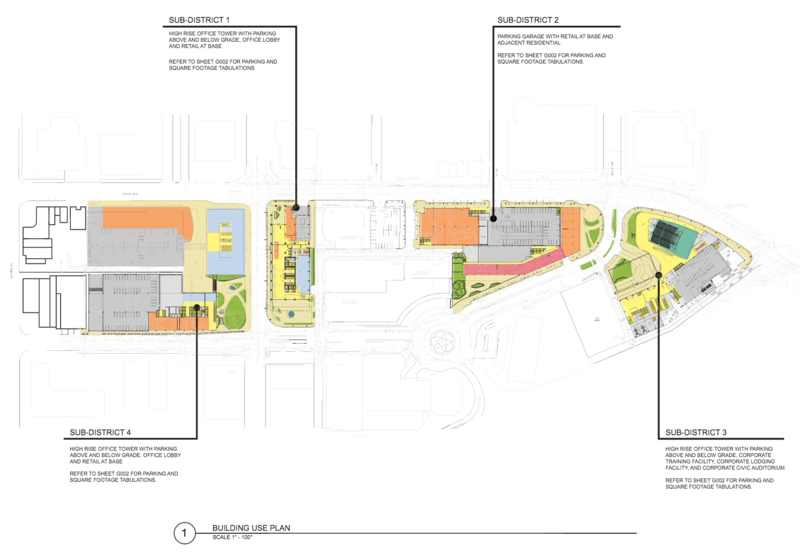 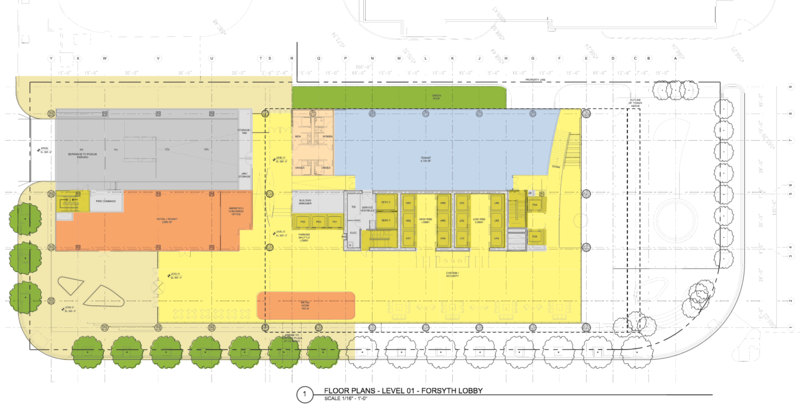 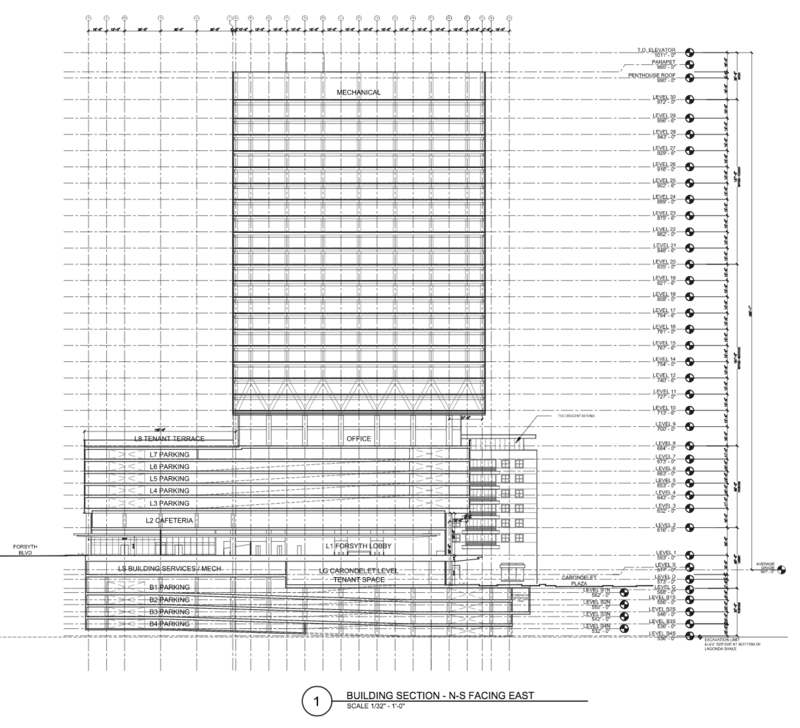 Centene has submitted detailed plans for its corporate campus project to the City of Clayton. 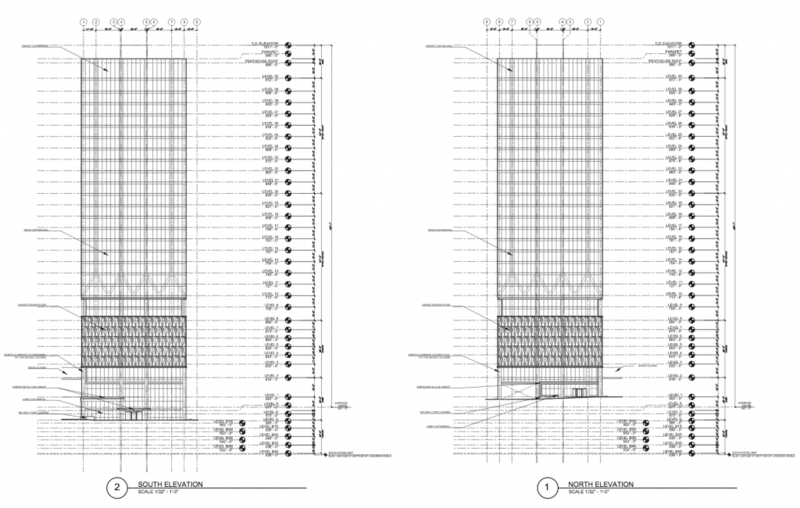 Below are select images detailing the project status to-date. 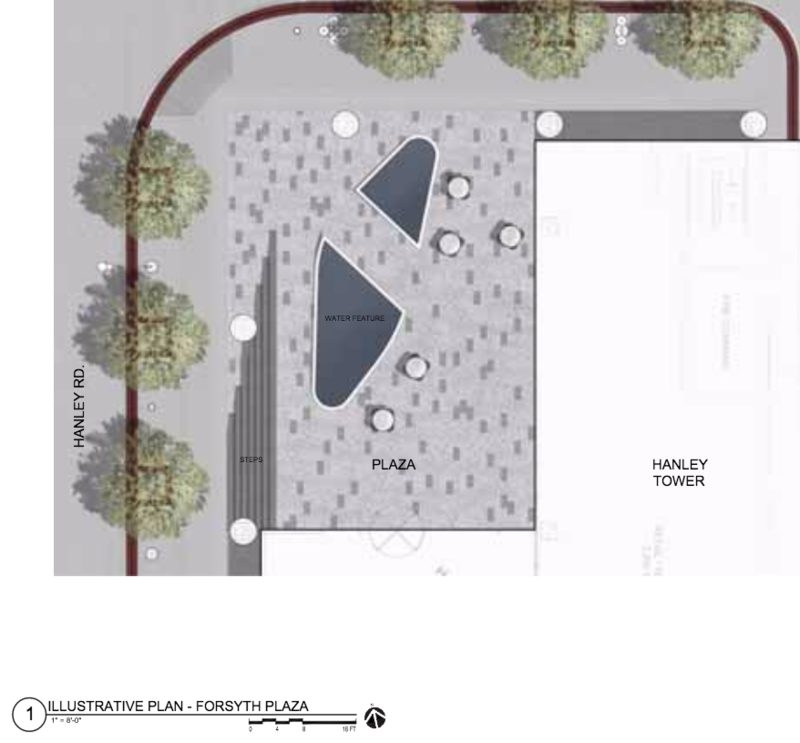 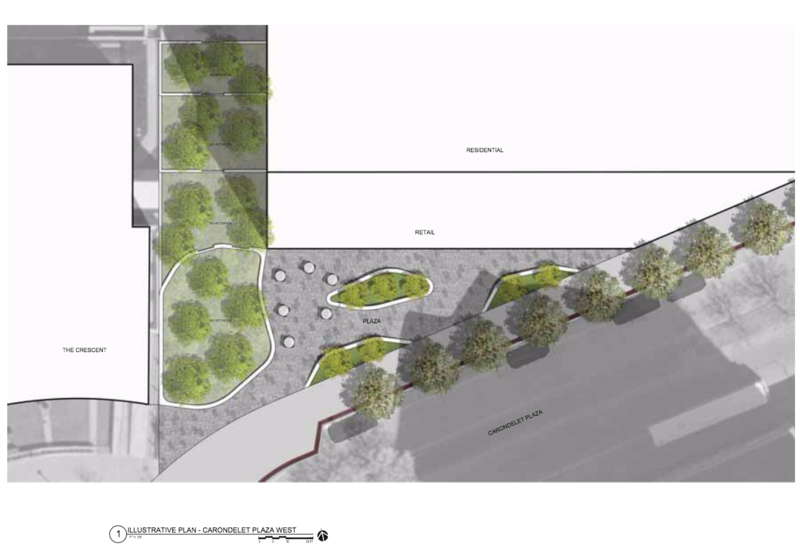 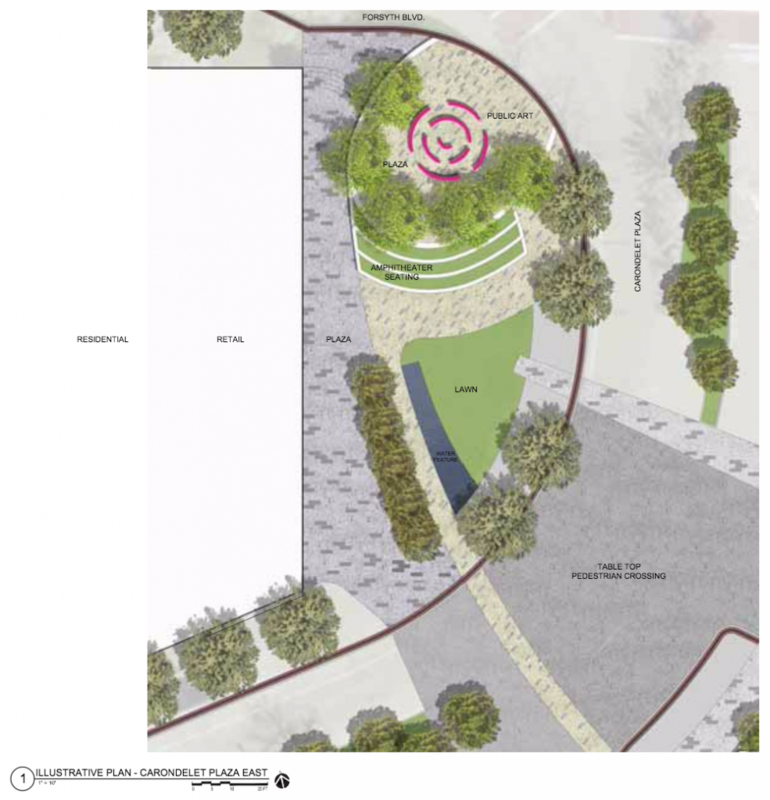 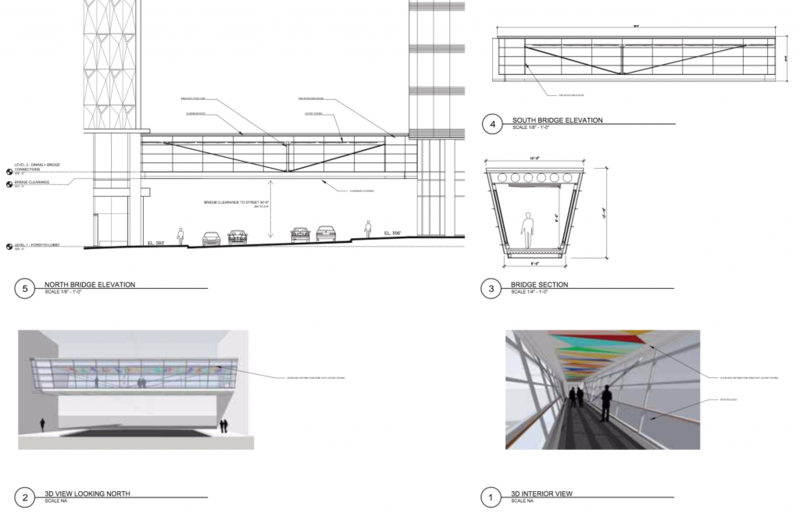 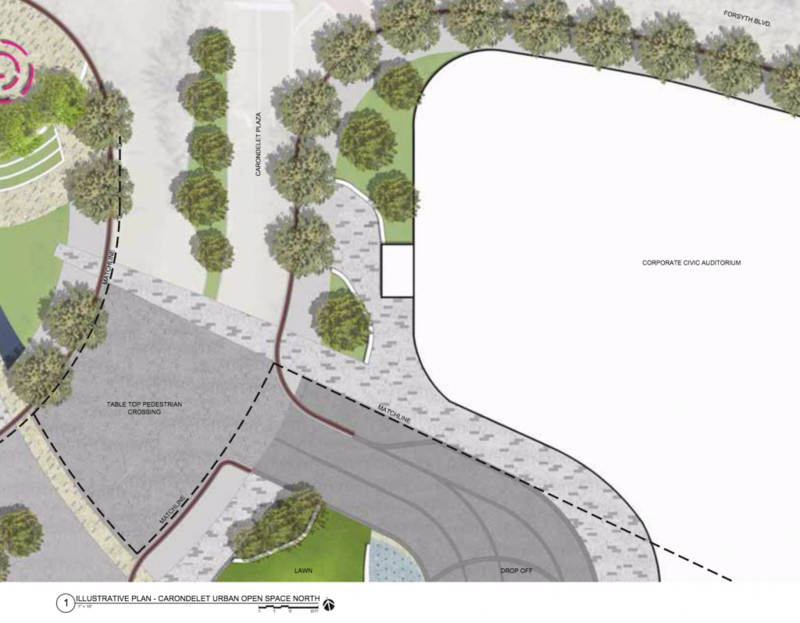 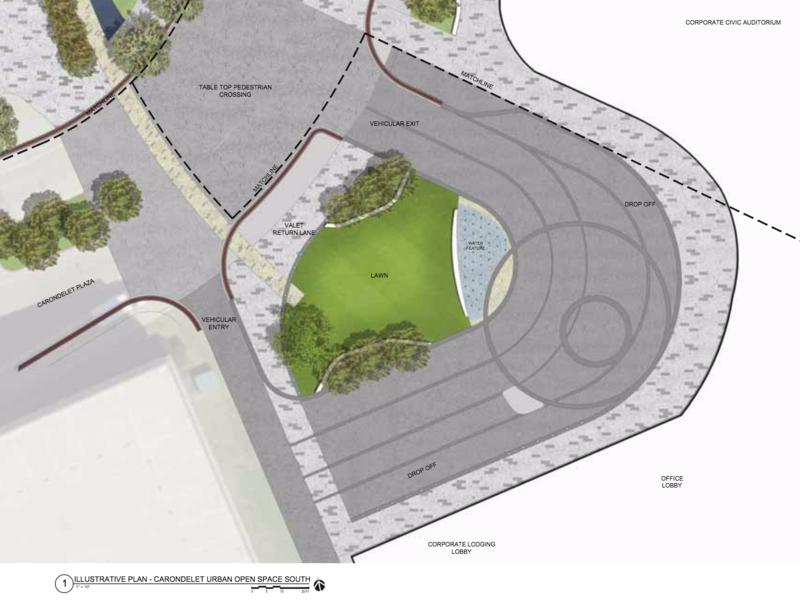 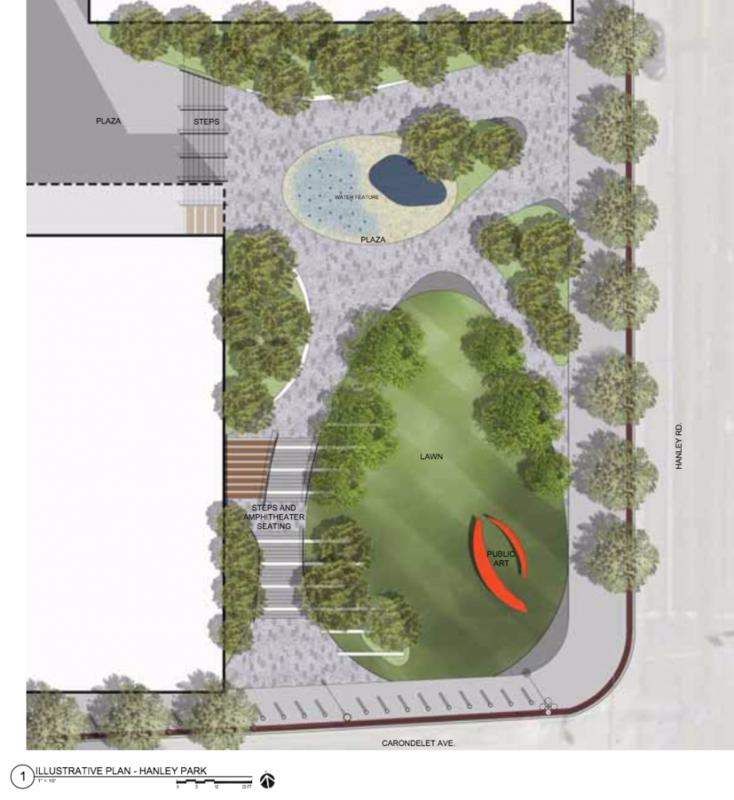 The images provide significantly more detail than renderings shared when the project was unveiled at June 6 meeting. 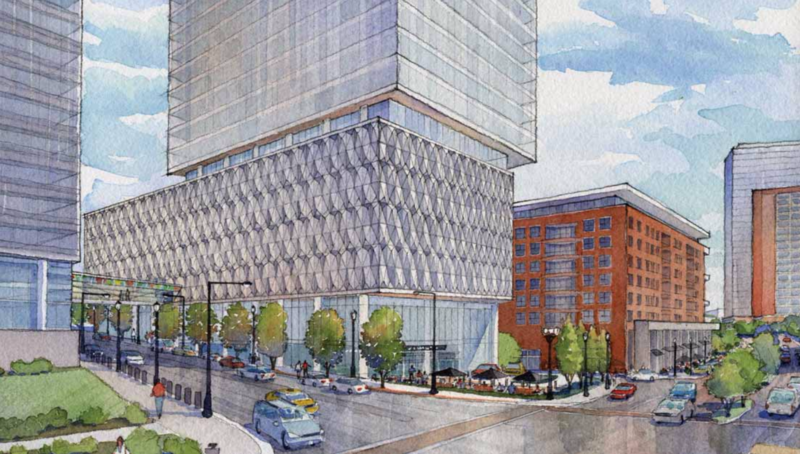 The vision outlined plans for nearly 1.5M sf of office space, as much as 40K sf of retail, 120 luxury apartments, a corporate auditorium, and lodging. 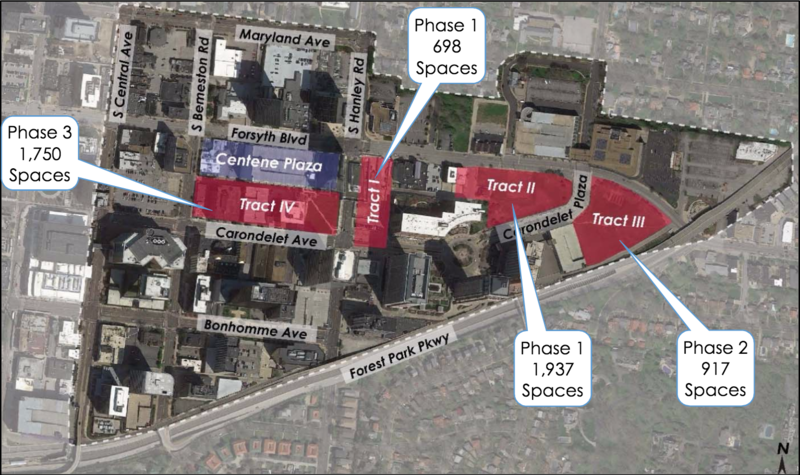 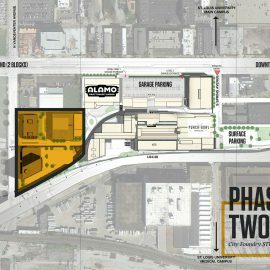 We originally wrote in April about Centene’s property acquisition and the growing size of its project. 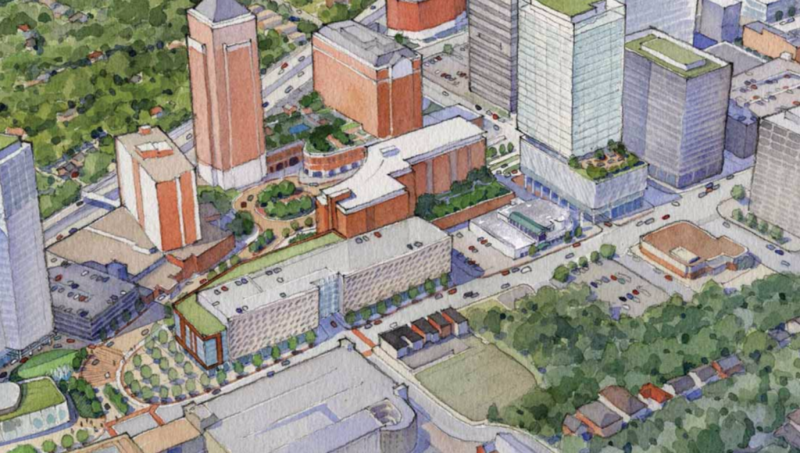 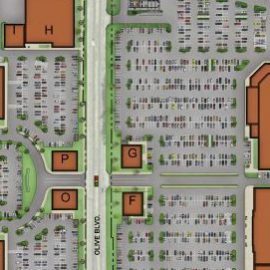 The total purchase price listed for all parcels comprising the Centene Clayton Campus project is in excess of $46M $50M with the purchase of a city parking lot. So what caught our eye? 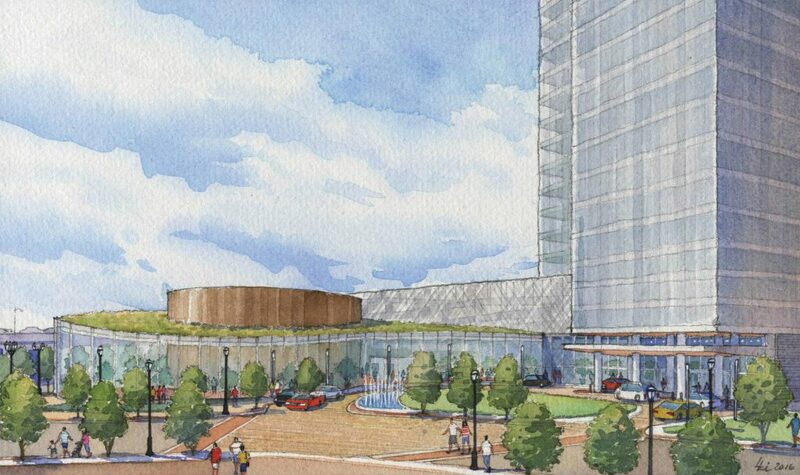 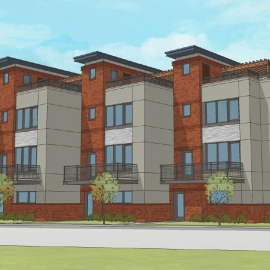 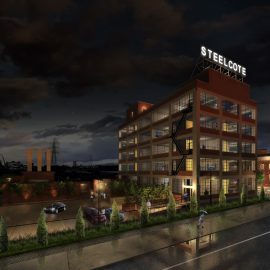 Only a few small refinements appear in the renderings. There’s a lot, a whole lot, of parking. 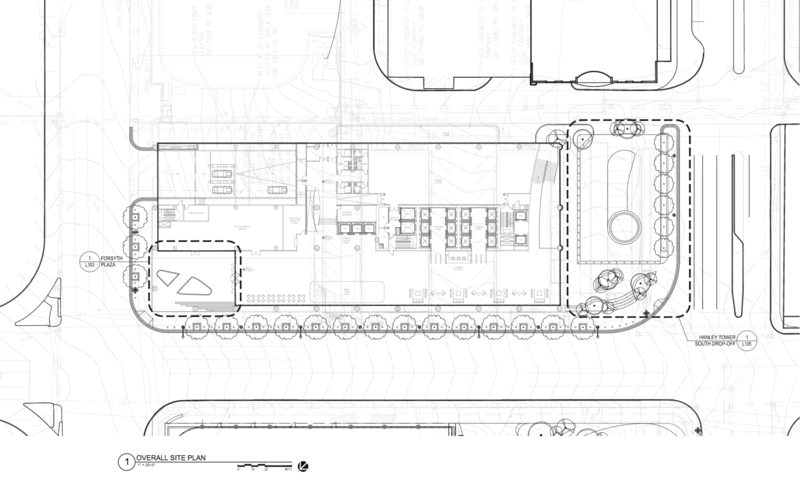 There’s a tunnel from Sub-District 3 (auditorium, corporate lodging, etc.) 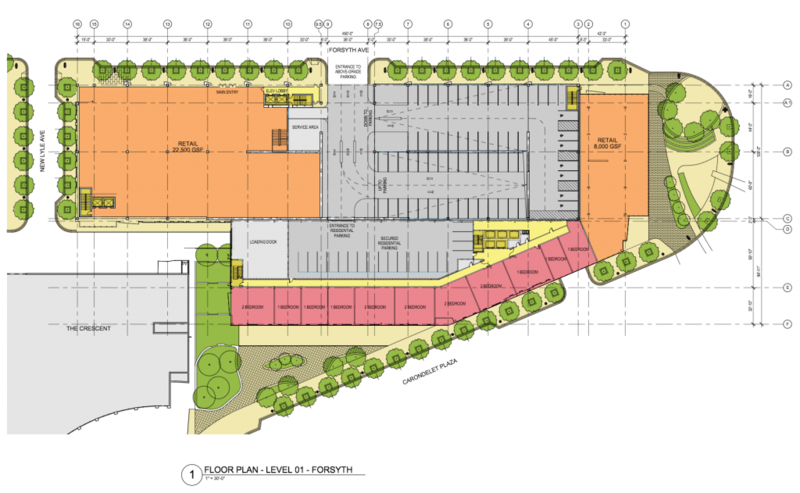 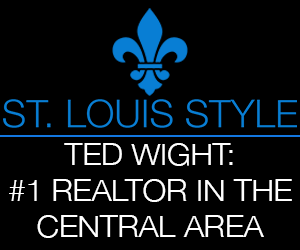 to Sub-District 4 (the Forsyth garage, with four below-grade parking levels). 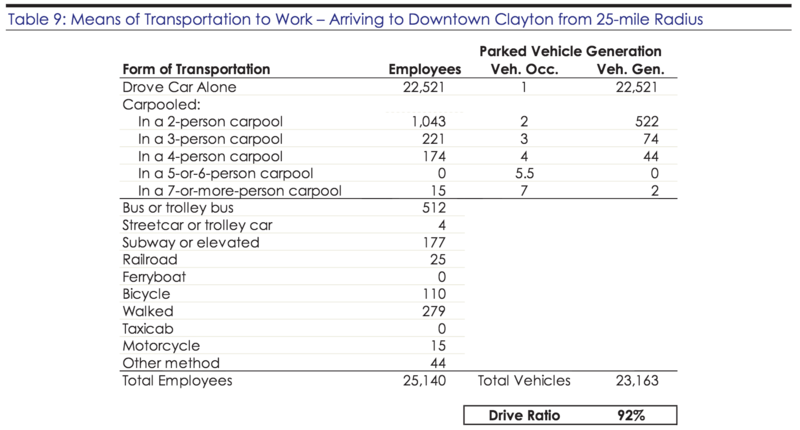 There are a lot of plazas – so very much Clayton. 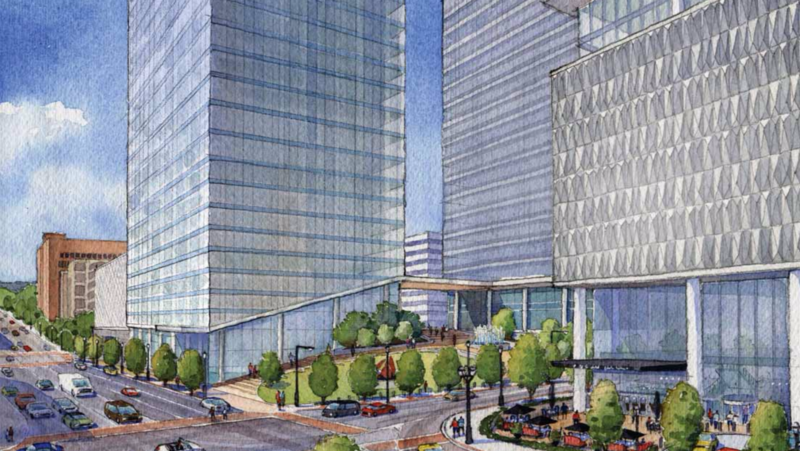 These buildings are big, all dwarfing the existing Centene Plaza building. 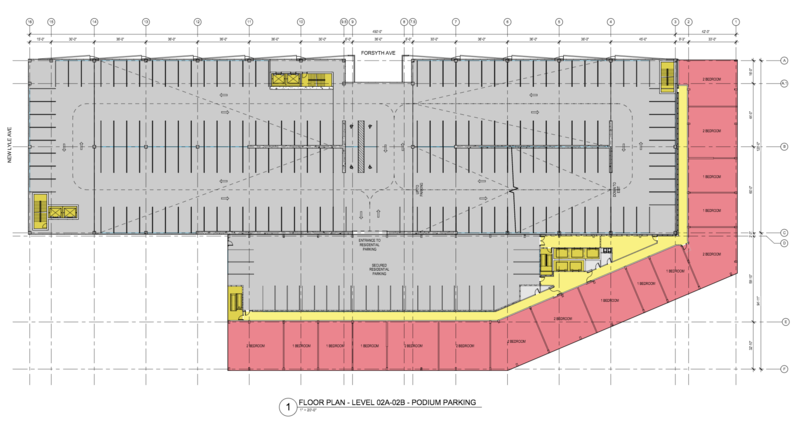 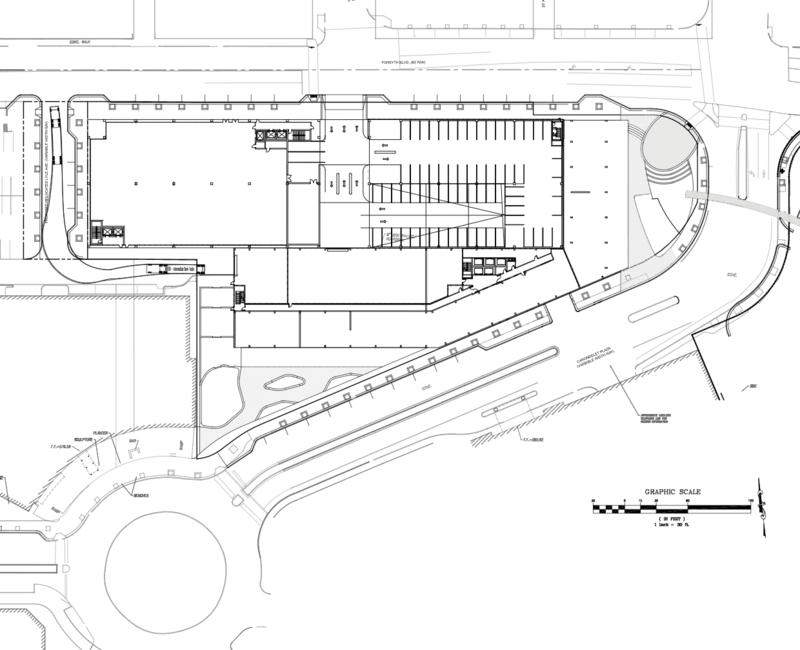 Also made available is the full project parking study (PDF).